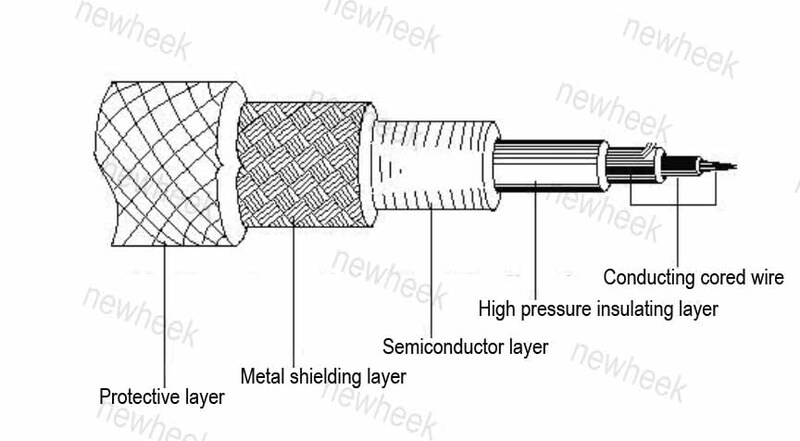 Do you know the high voltage cable, do you know the inside of the high voltage cable, now let us deeply analyze the high voltage cable, and let you have a new understanding of him. The key problem of high voltage cables is insulation. Currently, there are mainly 2 kinds of insulation materials for high voltage cables: one is cross-linked polyethylene XLPE (Cross Linked Polyethylene), the other is epoxy resin EP (Epoxy resin). XLPE insulation adopts chemical or physical methods to transform straight chain structured polyethylene into network structure of cross-linked polyethylene, which is made from thermoplastic polyethylene to thermosetting crosslinked polyethylene. XLPE has high mechanical strength, good environmental stress resistance, excellent thermal aging and electrical properties. It is suitable for power transmission and distribution lines, and can be used for power transmission and distribution. But the flexibility of this material is not good, and it is not suitable for use in regular sports equipment. EP (epoxy resin) is generally referred to as organic polymer containing two or more than two epoxy groups, except for a few, their relative molecular mass is not high. The molecular structure of epoxy resin is characterized by its active epoxy groups in the molecular chain. The epoxy group can be located at the end, middle or ring structure of the molecular chain. Because there are active epoxy groups in the molecular structure, they can react with various kinds of curing agents to form polymer with three directions network structure. Epoxy resin has good comprehensive mechanical properties, high adhesion force, small shrinkage, good stability and excellent electrical insulation property. Adding polysulfide rubber in epoxy resin can improve tanning, shear resistance, bending resistance, impact resistance and insulation performance of epoxy resin. The electrical properties of the epoxy resin are excellent, and the breakdown voltage of the epoxy resin is greater than 35KV/mm. If there are any mistakes in our article, please point out to us, thank you. Congratulations on our x-ray high voltage cable will fly to Columbia.